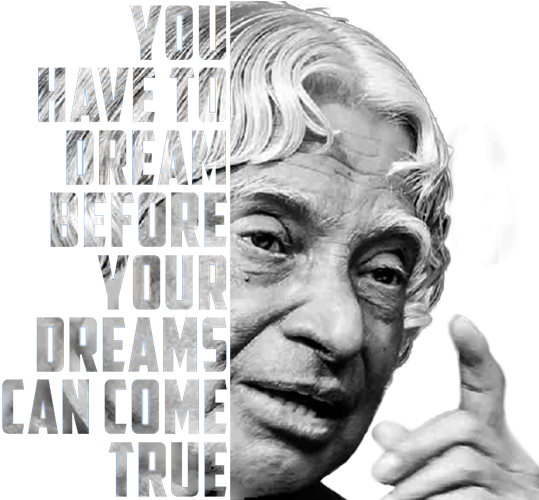 A. P. J. Abdul Kalam Youth Challenge Programme by Kerala State Council for Science, Technology & Environment (KSCSTE). KSCSTE is throwing a Challenge to the youth to come up with unique/innovative ideas to solve societal issues. We can help you to turn your ideas into viable enterprises. Encourage youth to take up innovative projects. Create opportunities for translating innovative ideas. Contribute to sustainable development of the State. Create platform for knowledge-based enterprises. Submit proposals in selected areas. 10 best ideas/projects/prototypes will be given up to ₹ 5 lakhs to develop the prototype/working model. After the development of proto, applicants shall demonstrate their innovations and among them, the best Innovation will be selected as the winner of the ‘A. P. J. Abdul Kalam Youth Challenge Programme’ and will be awarded with ₹ 50 lakhs, along with technical support and guidance in developing the technology based on the project. What is the Proposal all about? How it is going to be implemented? So What: If the Project is not implemented, what will be the loss? "How much fund is required for developing prototype/working model (up to ₹ 5 lakhs) ? " The format of the Proposal will be forwarded to the shortlisted Applicants, via email. After preparing the proposal, Applicant shall upload it in the Website. Educational Qualification not a barrier. Before registering, read the following instructions carefully.You have to upload the following documents while registering. The Nativity/Residence Certificate will be issued by the concerned Village Office. For getting the Certificate, you have to approach an Akshaya Centre. Application for the Certificate has to be made online and it will be done by them. After verification, the certificate will be issued soon and you can download the certificate. You shall upload the nativity/residence certificate issued by the Village Officer. Please note that the Certificate should be a recent one (it should be issued within 1 year as on 29th February, 2016.). Please note that certificate issued by any other authority other than this will not be accepted. No other document will be accepted. All the above documents uploaded shall be clear and readable. Vague documents will not be accepted and such registrations will be rejected. Proposals will be invited from the youth on the areas identified for the Challenge. Proposals will be evaluated by Reviewers in the first stage and will shortlist the proposals qualified for the next stage. Such Proposals will be further evaluated by an Expert Committee. Based on the evaluation, generally up to 10 Proposals will be selected by the Expert Committee. ₹ 50 lakhs, along with technical support and guidance in developing the technology based on the proposal. Copyright © 2019 A.P.J Abdul Kalam Youth Challenge. All Right Reserved.